Armed policemen, had on Tuesday, invaded the Asokoro residence of Chief Clark over allegation of stockpiling arms in his house. However, the South-south leader has alleged that the Deputy Commissioner of Police Yusuf Kolo and Commander of the Inspector General of Police (IG) Special Tactical Squad and Assistant Inspector General of Police (Federal Intelligence) Umoru Usman were those who ordered the raid and search on his residence. In the petitions with reference No KACCL/PET/KA/76/18, dated September 6, 2018 and signed by his lawyer, Dr. Kayode Ajulo, Clark wondered why the police authorities who are in the know of the masterminds and conspirators of the invasion are going after the four junior officers who were merely carrying out instructions from their superiors. Part of the petition read: “Our client did brief us that at about 12:30pm on Tuesday, the 4th day of September, 2018, officers and men of the IGP Tactical Squad (a unit under the direct command of the Inspector General of Police) alongside pressmen invaded and ransacked his Asokoro residence on the pretext that they were in search of arms and ammunitions. However, despite the siege and search, they found nothing incriminating on our client. “Our client further briefed us and we confirmed that at the point where officers and men of the IGP Tactical Squad were to commence their search having introduced themselves, stating that they were acting under the instructions of the Inspector General of Police and Deputy Commissioner of Police Yusuf Kolo as their commander, Ambassador Boladei Igali (former SSG Bayelsa State and former Permanent Secretary, Ministry of Power) who was with our client at venue of the search put a call through to Assistant Inspector General of Police (Federal Intelligence) Umoru Usman Shehu who spoke with the leader of the search party and gave authority to go ahead with the search. “Having so searched in vain, the Inspector General of Police in the face of the impudent search conducted on the property of our client, has publicly denied any knowledge of the said search and has immediately ordered the arrest of the four (4) junior officers who were responsible for the search and tendered a public apology to our client. “Taking into the consideration the circumstances of the invasion and uncivilized search conducted on his property, and the attendant embarrassment caused to our client and what he stands for, it is imperative to hold the view that there are serious questions which ought to be determined forthwith and without mincing words. 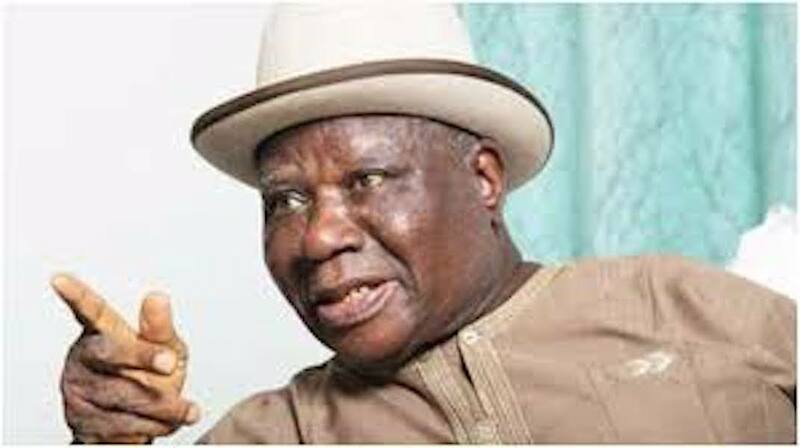 Ajulo stressed that Clark has been a frontline advocate against taking up of arms by the youths of the Niger Delta and has been responsible for brokering peace between the Niger Delta and several administrations in Nigeria. “In leading the Pan Niger Delta Forum (PANDEF), our client has joined other stakeholders to put a halt to youth restiveness and wanton destruction of oil pipelines in the region and ultimately restore peace, thereby increasing production of Nigeria’s sustenance in oil and encouraging foreign participation. However the invasion of his Asokoro-Abuja residence has since fanned wrong embers, caused uproar and pandemonium in the Niger Delta of which our clients and others have been assiduously working to curtail,” his lawyer said.